Click on this logo to book direct with Alamo. Alamo started in 1974 with several locations in Florida and soon gained public appeal for its unlimited mileage program. 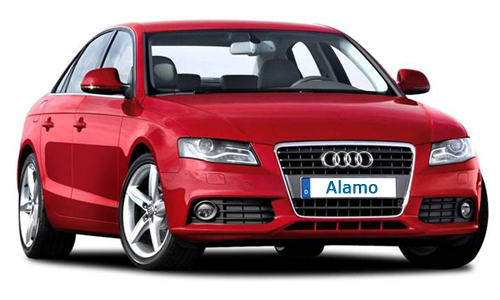 Alamo is now the third-largest car rental agency in the United States and is particulary strong in all American and Caribbean markets. Alamo also has branches in parts of Africa, Europe and Australia. Their offers in the USA, where they rent mostly General Motors cars, are usually very competitive.